Find answers to frequently asked questions (FAQs) about guardianship. Just click on a question below to reveal the answer associated with it. People are under guardianship when they have been appointed a guardian to help manage their affairs. Only a judge can appoint a guardian. Just because you have a disability or medical condition does not mean you need a guardian. A judge can appoint a guardian only if you lack the understanding or capacity to make decisions about personal or financial matters. How does a judge decide whether to appoint a guardian? The person or organization seeking appointment of a guardian must file a petition for guardianship with the court, along with supporting information from a doctor. You may oppose the guardianship and are entitled to have a lawyer appointed by the judge. The judge will then hold a hearing to determine whether you are able to make decisions about personal or financial matters. Both sides can call witnesses to testify. When should guardianship be pursued? Guardianship is an extreme intrusion in the life of a person with a disability because it takes away control over basic decisions for an indefinite period. Because guardianship deprives you of liberty, it should be used only when absolutely necessary. Before family members or others go to court to be appointed guardian, they should consider whether a guardianship is truly necessary or whether there are alternatives that can meet your needs without unnecessarily depriving you of your liberty. 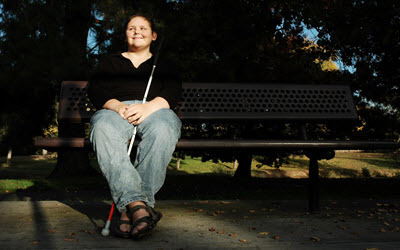 Are there other, less-intrusive ways of helping people with disabilities manage their affairs? What types of guardianship can judges impose? Guardianship over the estate addresses financial decision-making. Guardianship over the person addresses personal decision-making. Should guardianships be broad or narrow? Because a guardianship is a limitation on your basic right to make decisions, it should be narrowly tailored so it doesn’t unnecessarily intrude on decision-making ability. Thus, guardianship should be confined to those areas in which you need assistance. A person who needs help only with financial decisions does not need a guardian over the person. A person who needs help only with personal decisions does not need a guardian over the estate. In addition, people who have some ability to make decisions in the area in which they need a guardian might require only a limited rather than full guardian. The court order must be specific about the authority of a limited guardian. What are some examples of narrowly tailored guardianships? A guardianship over the estate, but not over the person, allows you to retain all nonfinancial decision-making. A guardianship over the estate that is limited to entering into contracts allows you to make smaller, everyday financial decisions. A guardianship over the person, but not the estate, allows you to retain all financial decision-making. A guardianship over the person can be limited to health and employment decisions, allowing you to make choices about where you want to live. What must a guardian of the person do when making decisions for the ward? A guardian of the person must make decisions that conform to what the ward would have done if competent, guided by the stated preferences of the ward (stated either before or during the guardianship) and the ward’s moral, religious, philosophical and personal beliefs. If the wishes of the ward are unknown even after reasonable efforts are made to understand them, the guardian must make decisions in the ward’s best interests. What must a guardian of the estate do when making decisions for the ward? A guardian of the estate must be frugal in managing the ward’s assets. The guardian must file an annual accounting with the court. In making disbursements from the estate, the guardian must act in the ward’s best interests and, at the same time, carry out the ward’s wishes as best they can be understood. May a guardian consent to the sterilization of a ward? No, not without court permission. We handled a case that established important due process rights before an involuntary sterilization case can proceed. To learn more, read the Appellate Court’s decision in that case. We then worked to have those due process protections codified into a new law. You can read the Illinois Times article for more information about this law that prohibits involuntary sterilization.